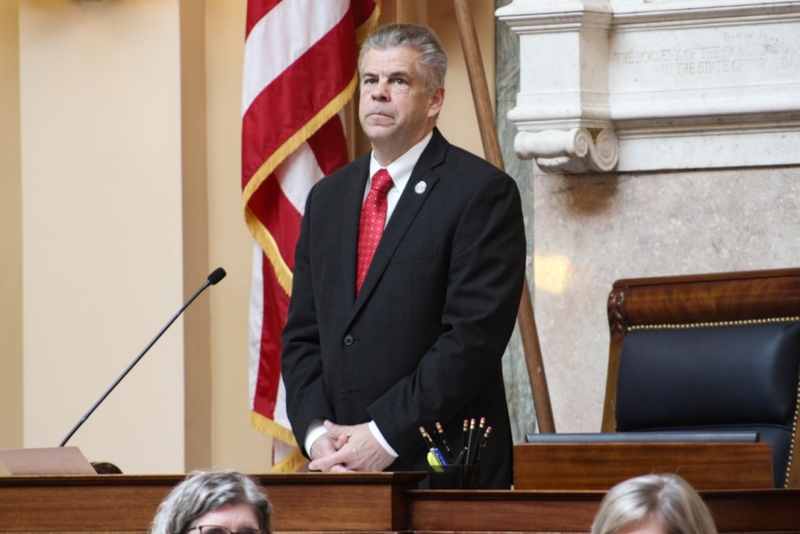 House Speaker Kirk Cox prevented a vote on an amendment that would have banned hand-held cellphone use on Virginia roads. Governor Ralph Northam’s last-ditch effort to pass a ban on holding a cellphone while driving was rejected by the General Assembly Wednesday. Legislators failed to reach a compromise on the hands-free law earlier this year, but a bill by Senator Monty Mason banning hand-held cell phone use in highway work zones was passed. Northam used his power to amend the bill to apply to all of Virginia’s roads. On Wednesday, Republican House Speaker Kirk Cox ruled that amendment was not germane, essentially preventing representatives from even voting on it. Cox said the amendment was “beyond the scope” of the original bill. “The Governor’s amendments vastly goes beyond the original purpose,” he ruled. Janet Brooking, executive director of Drive SMART Virginia, said that move leaves Virginians with an unenforceable texting while driving ban. “Basically, the language of that law said that you can’t text and you can check emails, so it didn’t address the growing technology,” she said. That concern was echoed by Senator Scott Surovell, D-Fairfax, during his floor speech urging the Senate to approve the amendment. The Senate approved the bill 34-3 before it was scuttled in the house. Currently, 15 states and Washington D.C. have banned the holding of cellphones while driving. Distracted driving was the cause of nearly 400,000 injuries in 2015, according to the National Highway Traffic Safety Administration. The bill banning hand-held cell phone use in work zones will now go back to Northam with its original language. He will have to determine whether to veto the bill or pass it as-is.